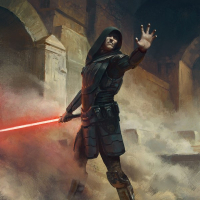 Ive been thinking lately: 'What if EA made a brand new campaign mode where you could play as Sith or Jedi.'. Similar to what EA did with LOTR Battle for Middle-Earth. The game featured two campaigns where you could play for either both sides of the same story! Wouldn't it be delicate to see? They clarified many times that there are no plans add any campaign dlc.